After years of torrid money-laundering buying of US properties by wealthy Chinese, purchases of US commercial real estate by the Chinese tumbled last year to the lowest level since 2012, according to a new report by the Wall Street Journal. The fall came as a result of Beijing continuing to pressure Chinese investors to bring cash home, instead of allowing it to leave the country. 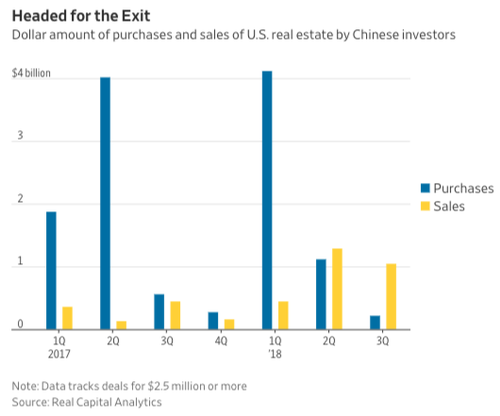 Recall, we reported back in early December that Chinese firms had dumped $1 billion of US real estate in the quarter prior. 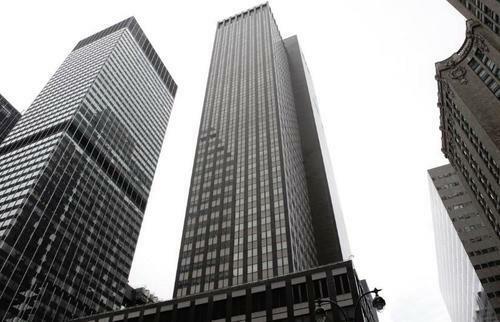 Various investors, including insurers and conglomerates in mainland China, were net sellers of $854 million worth of US commercial property in the fourth quarter, according to Real Capital Analytics. This is the third quarter in a row that Chinese investors were net sellers of US property, the first such stretch of this length. And, of course, the selling stands in significant contrast to the five years prior to 2018 when Chinese conglomerates led a seemingly endless buying spree in the United States. Tens of billions of dollars of Chinese money was spent on places like the Waldorf Astoria New York and a nearly billion dollar skyscraper development in Chicago. But now the tide has turned and some of China’s largest investors are unloading or reducing their exposure to these types of assets. Now that credit conditions have tightened in China, developers have tried to raise money by offloading US assets. Trade tensions between the two countries aren't making for an environment of confidence either. Still, for 2018, the Chinese were net buyers of $2.63 billion in US real estate. However, this is the lowest such number in six years, and China would have actually wound up as a large net seller for the year if it wasn’t for an $11.6 billion purchase of Global Majestic Properties made by a consortium of Chinese buyers a year ago. It's not just commercial real estate, either. Chinese buyers have also been selling their US homes, as purchases by the Chinese in the United States tumbled 4% between April 2017 and March 2018 (the latest data available). That fall reflected higher prices in the United States, the strengthening dollar and tensions between the two economies. These all are, to some degree, aftershocks of slowing growth in China. The country reported a 6.6% growth number for 2018, which was its worst annual expansion since 1990 and below estimates out of Beijing. Making matters worse is China's aggressive shadow credit deleveraging campaign. As we discussed back in late 2018, total Chinese Credit Creation has unexpectedly collapsed, resulting in shockwaves of weakness across the domestic and global economy. 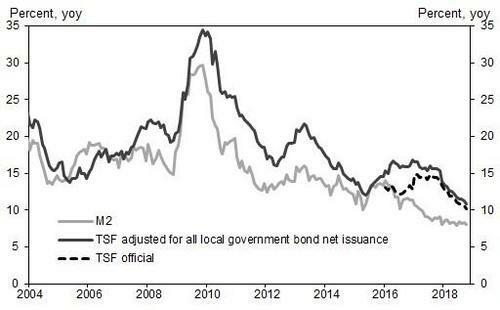 Amid speculation that Beijing is engineering a "slow landing" through a significant slowdown in credit issuance, investors - hungry for liquidity - are unloading US properties at a rapid clip. In global markets, we believe this will likely create a deflationary chill and lead to a further slowdown in 2019.